So, as an entrepreneur you receive a lot of unsolicited email. Some legit, some not so legit. And some are devised to steal you money. is listed in our system as being a company. email address from our database accordingly. Now, these fuckwits are only after your money. You will get nothing. 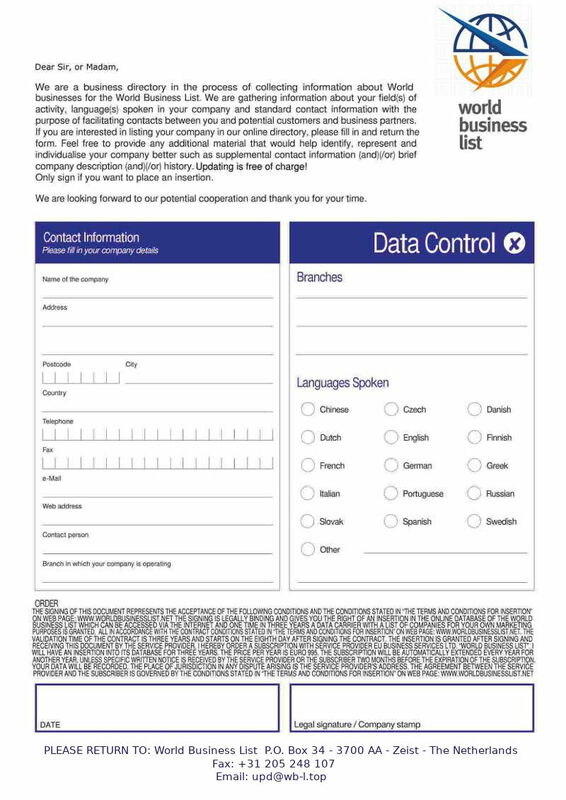 Here is what you are supposed to fill and get inserted to Global Business Register “for free”. Don’t forget to read the petite print. The quality of the jpg-image they send for you to sign, is of terrible quality. Assholes. This entry was posted in Scams and frauds by tyy. Bookmark the permalink.